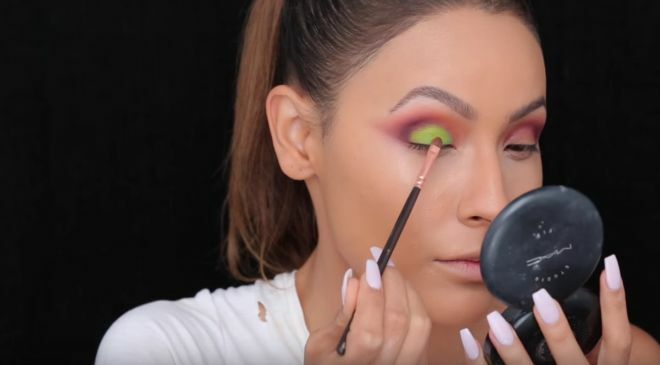 Makeup artist and popular YouTuber Desi Perkins is stepping out of her comfort zone to bring us a gorgeous neon look that is nothing short of a showstopper. 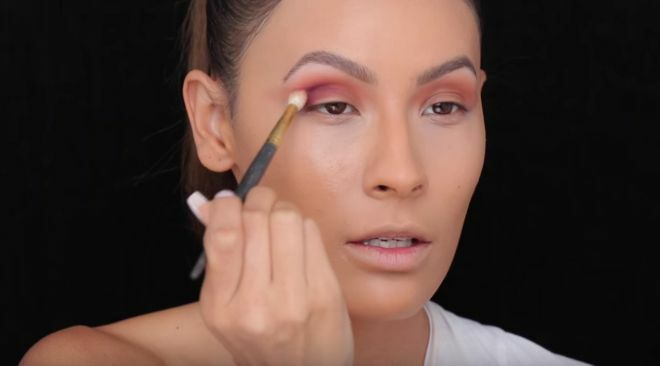 The beauty guru has amassed over 1.7 million followers on her channel through in-depth tutorials and impressive cosmetic looks just like the one below. 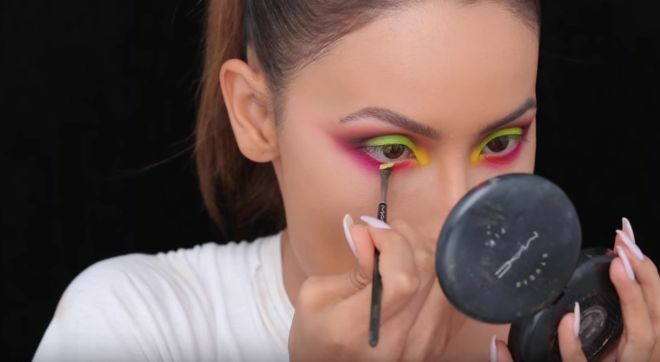 Perkins was inspired to test her hand with neon colors after spotting an Instagram picture of a fellow makeup-lover's neon look. While Perkins is more comfortable operating on the neutral end of the color spectrum, she wanted to test out a funky look to add variation to her tutorials. Judging by the finished look, I think it's safe to say that Perkins pulled it off. After applying a warm base across her lid, Perkins takes the corners deeper with a smoky purple. Neon wouldn't be neon without a bright, audacious green. With the help of the Radioactive stack by Melt cosmetics, Perkins creates the fierce look by applying neons in various areas. 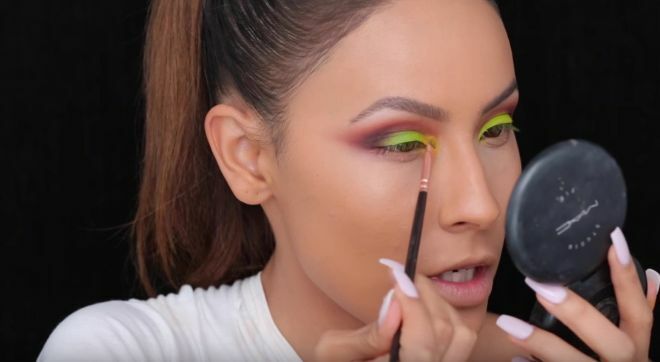 She uses a mustard yellow on the inner corners of her eye to really add some pop to the blend. Don't forget about lining the inner rim with a bright cream eyeliner. 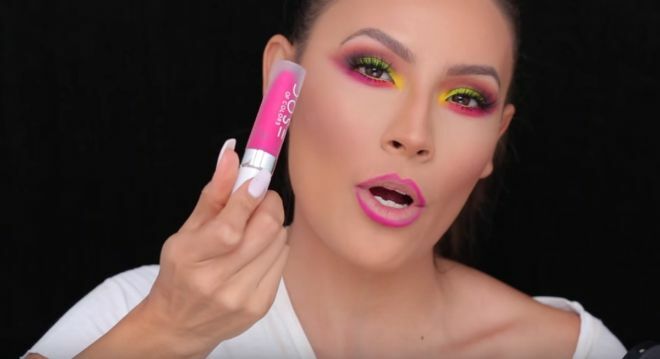 Perkins finishes her look by applying a neon pink liquid lipstick by Dose. Watch the makeup artist in action in her tutorial below and get all the details on achieving this look.